Privacy and data protection are recognized as fundamental human rights. Recent developments, however, indicate that security issues are used to undermine these fundamental rights. As new technologies effectively facilitate collection, storage, processing and combination of personal data government agencies take advantage for their own purposes. Increasingly, and for other reasons, the business sector threatens the privacy of citizens as well. 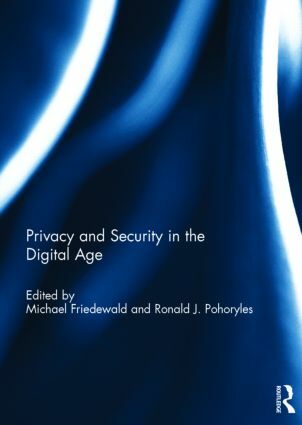 The contributions to this book explore the different aspects of the relationship between technology and privacy. The emergence of new technologies threaten increasingly privacy and/or data protection; however, little is known about the potential of these technologies that call for innovative and prospective analysis, or even new conceptual frameworks. Technology and privacy are two intertwined notions that must be jointly analyzed and faced. Technology is a social practice that embodies the capacity of societies to transform themselves by creating the possibility to generate and manipulate not only physical objects, but also symbols, cultural forms and social relations. In turn, privacy describes a vital and complex aspect of these social relations. Thus technology influences people’s understanding of privacy, and people’s understanding of privacy is a key factor in defining the direction of technological development. This book was originally published as a special issue of Innovation: The European Journal of Social Science Research. Michael Friedewald is a senior researcher and head of the ICT research unit at the Fraunhofer Institute for Systems and Innovation Research in Karlsruhe, Germany. His are of research are the social and economic impacts of emerging technologies and their implications for policy making. In recent years he has worked extensively within the field of privacy, data protection and surveillance aspects. Michael holds master degrees in Electrical Engineering and Economics and a PhD in Science and Technology Studies from RWTH Aachen University, Germany. Ronald J. Pohoryles is Chairman of the board of directors of the ICCR Foundation Vienna, Austria and Paris, France and Assistant Professor for comparative political systems, experienced in social science research for over 35 years. His research expertise covers European integration emphasising public policy analysis, science and technology and integrated technology assessment. Overall, his work relates to a comprehensive understanding of sustainability, bringing together economy, environment, society and democracy. He has co-ordinated more than 100 research projects. His publications include numerous articles and books on the above topics.